Money Workshop MAPS - Mon. . .
Money is a sphere in which most people tend to block their success due to their limiting beliefs in some way or the other, leading to emotional & financial distress. In short, the inadequacy of money may affect one’s life. We live in a reality that has programmed our minds to believe that money is hard to earn. We are also taught that we must work hard in order to manifest money. Most people believe that the job is the only source of money; money is the root of all evil. These rigid belief systems about money and wealth are buried so deeply in the subconscious mind as a computer program that they make it near impossible to manifest money, rather repel any opportunity that comes your way. Our conscious and sub-conscious minds are in a constant struggle as consciously we want to make money, become wealthy, and have abundance. While subconsciously we have beliefs that are contrary. The money program blueprints in our subconscious mind are responsible for the ways we incline towards money either by attracting or repelling it. MAPS is a workshop where these blueprints are reprogrammed to attract money. Have a clear understanding of the spiritual nature of money. Identify your money blueprint and core belief patterns with money and change them instantly to attract more money. Heal your karma towards money. Get your money DNA activation. Understand how your subconscious mind works and why you have negative self-sabotaging habits. Re-program your money blueprint in your subconscious mind - achieve money, prosperity, and abundance. Raise your money consciousness and align your vibration (sum of all our thoughts, beliefs, attitude, & feelings) with universal law that creates and sustain money. Improve and enhance your relationship with money. Release resentment and guilt for money. Eliminate fear and anxiety that you have for money. Feelings of fear, doubt, and anxiety create mental and psychic blocks in what you really want. Open your Heart and psychic centers to receive abundance and have grace and harmony with money. Have Gratitude NOW and learn how powerful Gratitude is in creating the most fulfilling, happy, and abundant life. 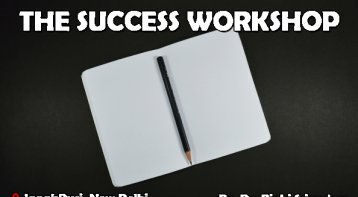 Learn various TOOLs to identify money blocks and equip yourself with various TECHNIQUES to raise your MONEY FREQUENCIES and clear your blocks. Before you can manifest money you have to examine and expose your own money program. What has your relationship with money been? How do you feel about manifesting more money? Does this make you feel excited or anxious? Our workshop is an invitation to all who desire to change their money story. 1) suddenly those leads which I had been following themselves approached this time and are interested to work with us now. 2) New opportunities have started showing up. 3) I got a confirmation from one of our new clients for his order. 4) Made a sudden saving in six figures in the GST which needs to be paid. There were times when I used to hesitate while making a sale and ma'am says right that money is always there in the air, you just need to catch it and now is the time when I confidently pitch about my stuff. Thanks a ton, ma'am Rinki. 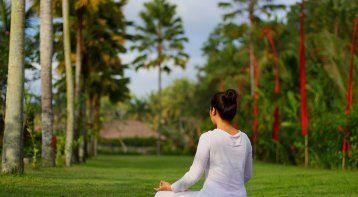 Your meditation has immense powers, I can certainly feel a difference in my own self and in the world around me. Look forward to more magical spiritual experiences. Lots of Love and Respect"
"It helped me to identify my mental blocks and misconceptions associated with money. I am relieved of my limited beliefs and misconceptions about money, being rich, leading a life full of abundance were cleared. 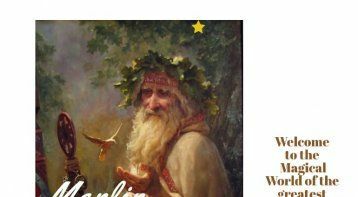 It made me clear and guided me how I can respect, attract, hold, grow and share money to lead a joyful life with ease, abundance, and prosperity. It was an awesome and unbelievable experience. Thank you so much!" "Fearless, Powerful, Calm, Contented, Money Magnet, Abundant, Happy & Joyful. In MAPS, you demonstrated another very good technique. In fact, in every workshop Rinki, you surprise me by giving better than your previous best. So many blocks removed; even those also which were not there on the agenda of the workshop. 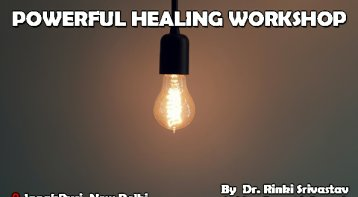 I experienced major healings... a transformation. Love, Gratitude, Trust & Respect, Thanks Rinki." "I have got opportunities, learnings and new ideas in life. Now I would be having a more clear approach towards money, abundance, and life. The seminar was very good. The approach was positive. All the best and keep up the good work. Thank you." "MAPS workshop by Dr. Rinki was excellent. Many conflicting beliefs about Money, Abundance, Positivity, Power, and Spirituality were resolved in the workshop. 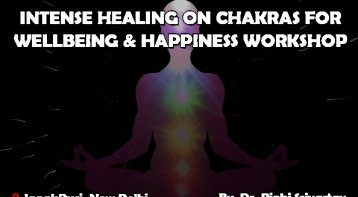 Theta Healing and Meditation were used to resolve the conflicts. I could see an immediate result. I recommend that people should attend the next course of MAPS. 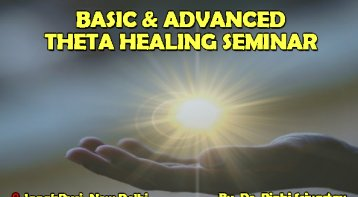 Also, having attended the Theta Healing workshop, I suggest that people should attend this seminar. It's far more effective than NLP or LOA or Reiki or Hypnosis. It's not just a healing modality, it's about changing belief patterns with getting instant results." "The event was very useful in finding our blocks related to abundance. It was really a MAP to reach the energies of abundance. It was an excellent experience being a part of MAPS. I am grateful to Dr. Rinki from the bottom of my heart to give me this opportunity to be a part of the session and receiving grace. The session was perfect. This is what I can say: a complete energizing session. I am blessed and showered with the grace." 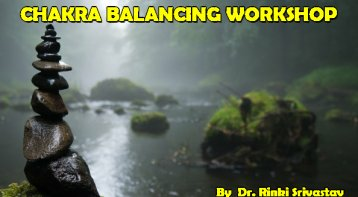 "I was able to find out my limiting beliefs and learned techniques to find out the limiting beliefs and was able to resolve them. Related to 4 aspects M-Money, A-Abundance, P-Positivity, and S- Spirituality. After MAPS, I am observing a big change. I have become more polite and more joyous. Great experience. Thanks for EVERY thing." "It was very useful to collect myself, recognise myself, and improve myself in terms of money, abundance, life, and reality. It should be held in every city for everybody for their benefits. The event was great and the trainer Dr. Rinki Srivastav – excellent. "MAPS Workshop should be compulsory for everyone who uses money. I think so differently today because I can, now armed with the knowledge that has me changing the way I conduct my personal life and business life. I previously struggled with handling money now I view it in a different way and actually enjoy my challenges. Thank you for showing me a different way of thinking. Thank you Dr. Rinki for transforming my life. " "MAPS by Dr Rinki Srivastav has completely changed my perspective towards money. Money,which is One if the most important thing in our life, has various beliefs in our mind. The workshop changed my relationship with money and set me free of the beliefs/blocks that we're stopping money inflow in my life. I thank her from the botttom of my heart for opening new channels related to money for me." 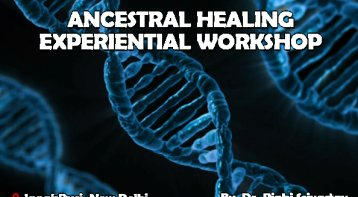 Ancestral Healing Experiential Workshop:. . .